FaveCrafts is giving away 1 Ergo Hook Set and 1 skein of Mrs. Crosby Loves to Play Yarn in Northern Parula.If you have pain while crocheting you might want to enter this one! Click here to enter the Enchanting Ergo Hook Set and Yarn Giveaway! Good luck and tell us, what is your favorite crochet project? 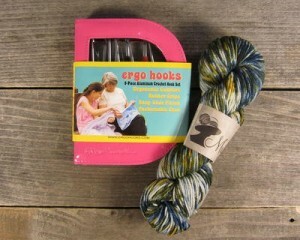 Share the post "Enchanting Ergo Hook Set and Yarn Giveaway"